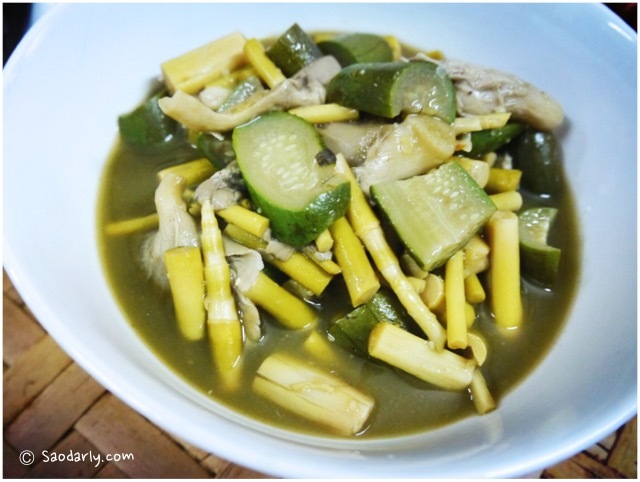 Lao Bamboo Shoot Soup (Kaeng Nor Mai ແກງຫນໍ່ໄມ້) for dinner in Vientiane, Laos. It’s not bamboo shoot season yet at the moment. We went driving along the Mekong River outside of Vientiane in the morning and bought the tiny bamboo shoots from one of the side road stalls. One of my aunts made the bamboo shoot soup along with the grilled pork ribs. Another aunt made the Jeow Padek (spicty fermented fish dipping sauce) to serve with the bamboo soup. 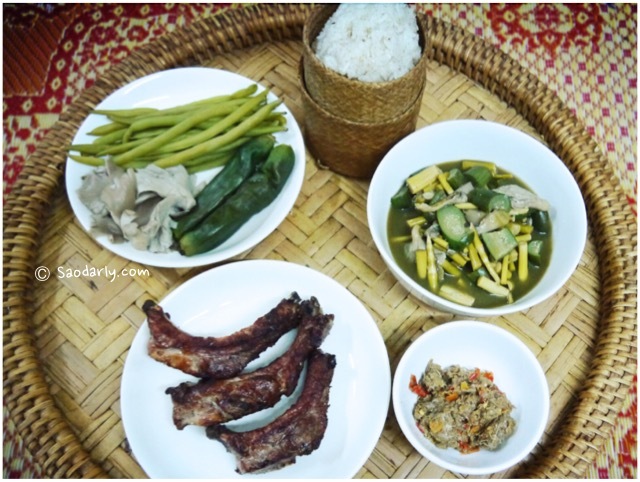 It was a classic Lao meal with plenty of freshly steamed sticky rice for the entire family members to enjoy the dinner.